Fearless front-woman Derina Harvey leads this Celtic rock group, who are recent winners of the People’s Choice Award at the 2018 Edmonton Music Awards . The group offers a fresh take on traditional folk songs as well as an increasing amount of original material. The band has a rocky, rhythmic undertow; layered with guitars, fiddle, and topped by Derina’s powerful voice. 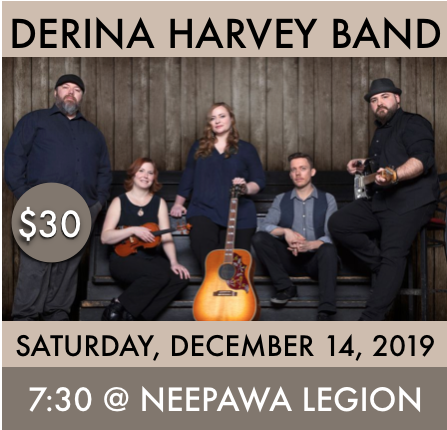 Derina Harvey Band has been likened to a rockier version of Canada’s Great Big Sea, if fronted by Adele, and has earned a reputation as a high-energy live show .